This International Women's Day (IWD), on 8th March 2019, Hays celebrated the impressive social, economic, cultural and political achievements of women. To us, IWD is more than a one-day affair; it represents a movement of women's rights and the attitudinal shift in both women's and society's thoughts about women's equality and emancipation. 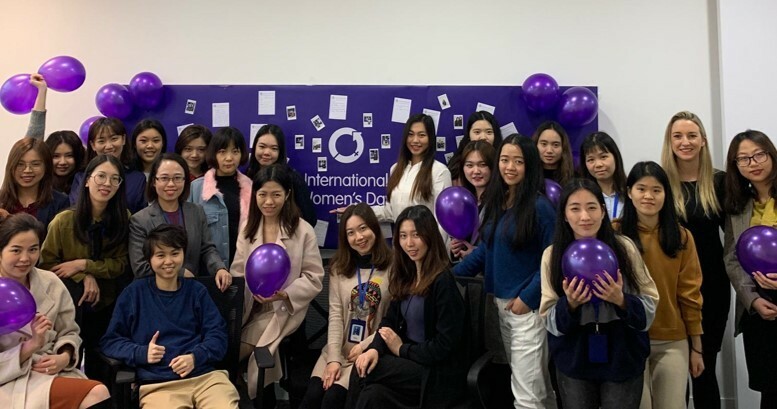 In the spirit of this year's theme #BalanceForBetter, Hays Guangzhou celebrated by sharing on their written cards some inspirational ideas and commitments to help drive a more gender-balanced world. A very heartfelt moment in the office! One card wrote, "Avoid assumptions about women. When a woman succeeds in something, it doesn't mean she's "lucky" or she "got help from others, instead we should be more generous in giving women compliments." For more information on Hays, visit the website. Hays is located in Guangzhou at Rm 1508, Level 15, No.26 Huaxia Road, Zhujiang New Town, Tianhe District and can be reached at +86 (20) 3811 0333.